I would like to have access on this post, as to add and renew a "list". Would it be possible for me to be able to edit my Checkered Flag Contest thread in order to post updates on who is in the lead? I would like to have ability to edit my first post here: http://atariage.com/.../#entry3676612 I would like to inform about game development there. Edited by hikachi, Mon Feb 6, 2017 11:27 AM. I would like to be able to edit this post http://atariage.com/...s/#entry3738720 to add the RAM upgrade FAQ/guide and keep it up to date. Edited by relo999, Fri Apr 14, 2017 4:27 PM. Done! Sorry, I completely missed this when you first posted it! You can now edit the first post in that thread. 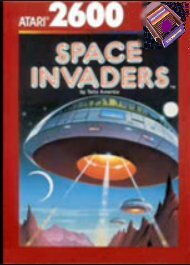 Please grant me editing rights on the first post of SuperCharger SpaceInvaders! I'd be willing to do it one or two a day till it was fixed... wow! Edited by _The Doctor__, Fri Jan 5, 2018 4:27 PM. I'm aware of one user who did this recently. The posts can be restored, and I've done it before. Which user (or users) are you referring to? Done! I apologize for missing this when you first posted it. Hi. Can I get edit access to my post which begins the thread here? I’d like to post version updates, source, documentation, etc., going forward. And it seems better to do it as addenda to the main post, in the usual fashion.